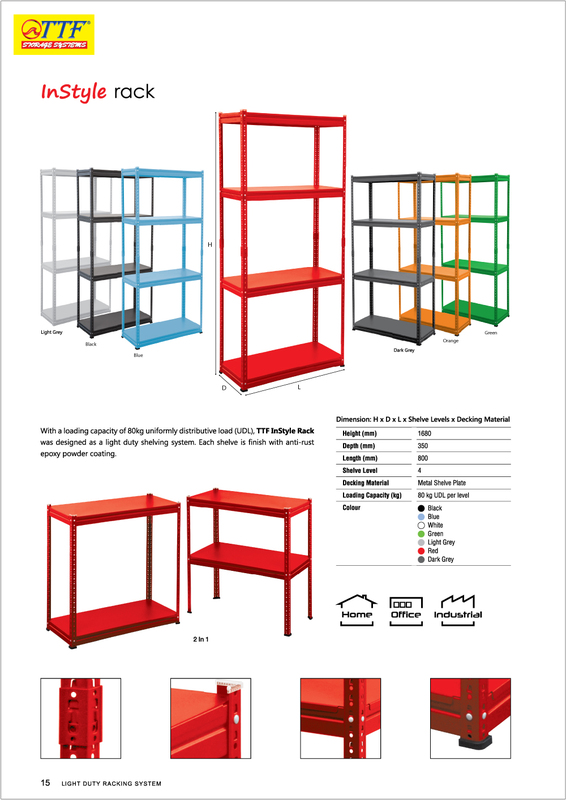 TTF Introducing new Rack Armour to prevent your warehouse rack and shelving damage from forklift, reach truck, hand pallet truck and etc. Our product is strong & durable which have fully tested for front and side impacts. New designed INSTYLE Rack to bright up your room & space. You need one of this D.I.Y Rack to organize your goods. 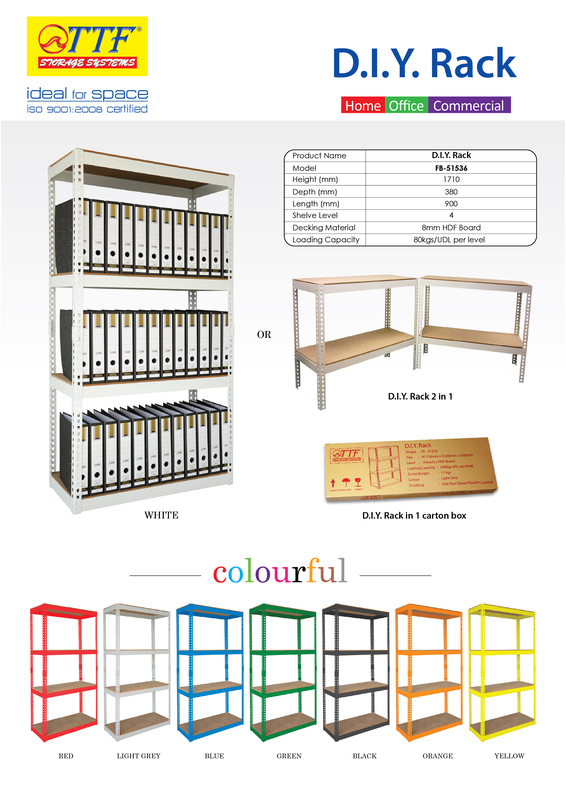 Our DIY Colour Rack have 8 color available for you to choose from, which we have Red, Yellow, Orange, Blue, Green, Black, White, Light Grey. They are all supplied in 1 carton box. It easy to install and dismantle by your own. SAFER Stainless Steel Convex Mirror, providing the best viewing effect, is engineered to withstand extreme outdoor weather condition. It is the ideal solution for areas with high risk of vandalism, pilferage, or aggressive industrial chemical atmosphere given its outstanding weather and impact resistance. SAFER Stainless Steel Convex Mirror can be easily installed at road intersection and parking lot where there is a severe risk of accidental breakage. 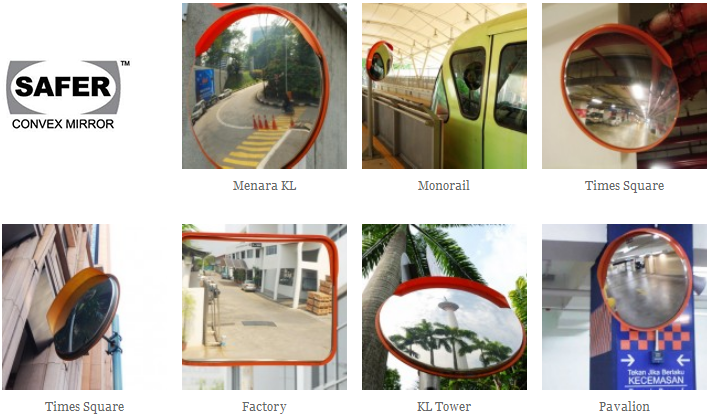 SAFER Stainless Steel Convex Mirror is virtually unbreakable and requires minimal maintenance, therefore, it produces cost effective result in the long run when compared to other materials that may require regular maintenance or replacement. It has indeed rapidly replacing mirror of other materials for both indoor and outdoor application for the above reasons. With state of the art technology as well as skilled workforce, we continue to strive to be the most prominent player in the world’s convex mirror industry. We strongly believed that our product can contribute in building a safer and secured community. Why SAFER Stainless Steel & Advantages of SAFER Stainless Steel? - Unbreakable and Impact Resistant. - Durable, thus, Reduce Cost in Long Term.